The Intruder is a modern revamp of the classic Victor snap trap design. The hybrid combination of modern plastic, with a metal snapper, make for a powerful kill trap. One word that countless of happy users have used to describe the Intruder Mouse Trap… Responsive. The trigger itself of this contraption is something that people rave about. It is relatively easy to set, although maybe not as easy as the JT Eaton or T-Rex Trapper models, but the real magic becomes clear once you see how quickly you begin to find the dead mice throughout your house. Other less sensitive traps are often left empty, bait and mouse alike, after a crafty rodent is able to grab the food and run. This is almost never the case with the Intruder. The trigger fires with the reliability of an AK-47, each and every time, the first time. To set the traps, just pinch them open like an alligator clip or a clothespin. It’s not the dead-easy push button of the JT Eaton, but it’s still pretty fool proof. I have not to date read any accounts of anyone hurting themselves while trying to set this (which can sometimes happen with the trusty Victor wooden trap). You’ll probably never go back to the wooden traps once you try these out. Something that a lot of new adopters of the intruder are concerned about, myself included, is the supposedly cheap looking plastic that they are made out of. We’ve all experienced negative products may have plastic before, and the old-fashioned reliability of wood can be appealing by contrast. I would actually withhold your judgment as looks can be deceiving. 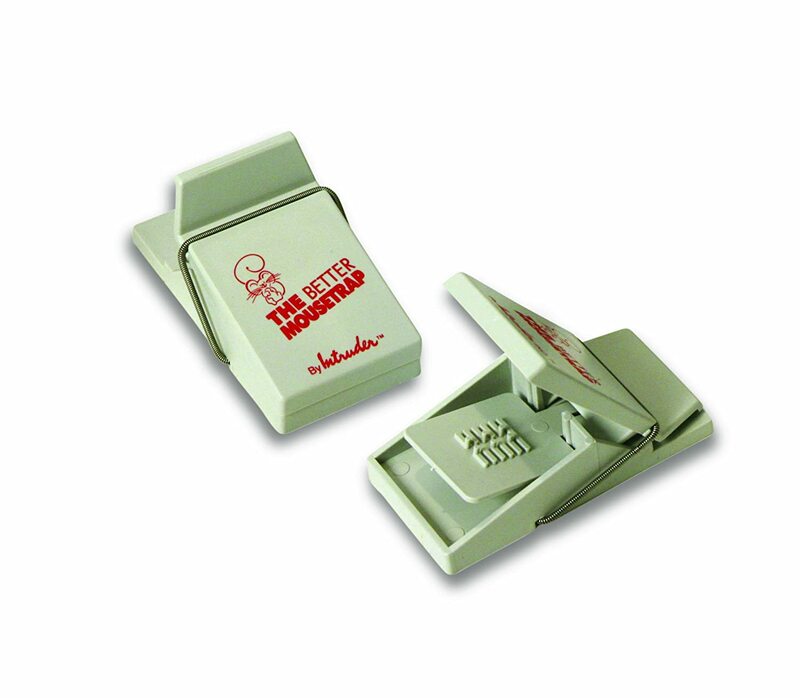 These snap traps are quick and responsive and have the strength to instantly kill and mouse or a small rat, while still being relatively harmless to humans and pets. They are deceptively small and light but incredibly enough I have not heard a single case where someone has found a partially dead mouse (which can be heartbreaking) while they have been using the Intruder mouse trap. Not everyone has a stellar experience. Yes, as with everything, there are some people out there who are less than impressed with the Intruder. All of the complaints that I have seen involve improper baiting, which in my opinion is due to user error and not the contraption itself. If you are dealing with larger rats, possums, or other critters, then yes… these small traps are not going to do the job for you. The crushing and snapping power is simply not strong enough, and they will be able to take the food and escape unharmed. In this case, I would highly recommend getting a good quality cage, such as the Atomic Barbie (I know… I hate the name too), which is an excellent rat and large critter trap.